Have a question that isn’t covered here? Feel free to contact me! Hiro Is such an unusual name. What does it mean? On August 6th, 1945, the world’s first atomic bomb was dropped on Hiroshima. An estimated 140,000 people died as a result of that blast. Today, the city of Hiroshima leads the movement for world peace. Everyone calls me Hiro, but my full name is Hiroshima. I was named for the city that has transformed a legacy of unimaginable suffering into the ongoing work of peace-making. Over the past 60 years, the city of Hiroshima has become a leader in the movement for world peace. Peace-making comes in many forms. This is the deeper current of the work I do with my clients: Transforming suffering into greater wholeness, love, coherency and joy. Dissolving the painful patterns of the past to shape a brighter, more prosperous future. You often talk about Energy Alchemy and how it can be used to accelerate both personal and business growth. But what is it? Energy alchemy applies the creative powers of soul to the practical, everyday challenges you face in life and business. Energy alchemy unearths the root causes from which problems arise, and transforms them at the deepest level. But it does more than simply solve problems. The power of energy alchemy lies in its ability to connect you to your soul’s deepest desires, and to give you access to multi-dimensional skills, alliances and support to bring your vision to life in seemingly miraculous ways. Say you’re unhappy with the way your business has been doing lately. Sales are inconsistent. You’re not meeting your financial goals. You don’t know what the problem is, but you’ve tried everything you can think of — including things that have brought you great success in the past — but still, nothing is working. You’ve had a series of unsettling experiences with clients who don’t “get” your particular gifts and genius and are skeptical of the results you can help them achieve. You want to do work that feels like play, that leaves you feeling joyful and energized rather than tired and dispirited. You want both yourself and your customers to prosper. You want to wholeheartedly serve folks who adore and appreciate you, who are hungry for what you offer, and enthusiastic about the miraculous work you do. A traditional business strategist might encourage you to restructure your brand, create a whole new platform, launch a more aggressive sales funnel, or implement a different social media strategy. Great ideas! You do these things and yet — something isn’t working. You’re still butting heads with your business, hemorrhaging cash and customers, at loggerheads with your team. Why? Because — even with all of the changes you’ve made — the real underlying issues, the energetic, soul causes of your failure to thrive, remain unaddressed. It may be that… You’re ignoring the call of your soul to serve in a different way than you have done in the past. Maybe you’re being asked to show up fully, to own your true genius — including your deeply intuitive insights, and your ability to improvise brilliant solutions to intractable problems without slogging through torturous data-gathering and logical analysis. Maybe you’re afraid you’ll lose your existing customer base if you do business in the way your soul demands. So you deplete yourself to keep nourishing the business you once loved, and which now feels like an insatiable monster who can never be satisfied. You court customers who aren’t right for you — and fail to reach the ones who truly want what only you can offer. Maybe you’re lugging around a painful story about being too strange or different to ever really belong. Or, that you’re not as smart or driven or as purposefully focused as your colleagues and friends, and that’s why their level of success eludes you. Using the skills and tools of energy alchemy, you strip away all that’s false in these beliefs and stories. You let go of everything that doesn’t belong to you. You uncover the treasure of your inner truth, which is generative, creative and positive. Doing this transforms you. You make choices that are in alignment with your heart. You act from the sovereignty and wisdom of your soul. And your business transforms too. Clients and customers who are no longer right for you disappear from your world. Those who belong with you show up, consistently, eagerly, joyously. You and your business prosper. Your customer thrive. This is the magic of energy alchemy. If you want to learn more about how it works, sign up for my newsletter and receive Sweet Success and the Soul of Your Business – a free 7-day e-course for entrepreneurs. You’ll receive a brief, beautiful introduction to the world of energy alchemy, with several practices that you can apply to your daily life and business right away. Do you literally "see" energy fields? Yes. Though, rather than just seeing them, I have a multi-sensory, full-bodied relationship with them. For as long as I can remember, I’ve experienced the world in multiple dimensions — as a series of interrelated, nested ecologies. The tangible 3-dimensional forms of life — trees, rocks, birds, people — all have their subtle-energy counterparts, which are held in a web of connection and relationship. These subtle energy fields are as vivid and real to me as a chair or a mountain or a television set. All my life, I have experienced energy in this way, and played with it and shaped it — much like a potter shaping clay. To me, this ability is neither mystical nor otherworldly — but rather, entirely practical. Sculptors shape stone. Bakers shape dough. Poets shape words. I shape energy. I teach others how to shape energy, too — particularly the energy surrounding your business and the creative projects that emerge from your heart. Some of you have a great deal of experience in consciously crafting the energetics of your world. Others of you may be open to the idea of working with energy and want to learn more about it. If you think energy is a “New Age” concept, consider this: Quantum physicists are discovering aspects of it every day. And mystics have been exploring and teaching about it for more than 7000 years. Ultimately, I’m not on a mission to convince you or anyone else about the reality of energy. I work with people who are open-minded and curious, willing to learn new skills, willing to explore what they don’t yet know. I work with folks who want to experience the benefits of energy alchemy firsthand, for themselves. How did you become a Business Mentor? What’s your background? I’ve been an entrepreneur for most of my adult life — and I’ve been mentoring and teaching creative entrepreneurs for the past 35 years. During that time, I’ve pioneered, created and taught dozens of transformational programs, trained thousands of students, and contributed the fruits of my research, knowledge and experience to the fields of soul development, energy alchemy, soul-infused entrepreneurship, and visionary leadership. I hold degrees in Psychology and Creative Writing. I’ve served on national arts juries, awards panels, and boards. I’ve taught in university settings, online, and at in-person retreats, workshops and seminars. I’ve had tens of thousands of conversations with entrepreneurs on every business challenge you can imagine — low sales, high debt, public scandals, unhappy customers, hiring and staffing issues, procrastination, jealousy — you name it. I’ve seen the business landscape change many times, over the past 30+ years. I’ve seen the trends, the bubbles, the ebb and flow of our global economy. Through the years, I’ve discovered timeless strategies that support sustained business success, regardless of the current economic climate or the latest marketing fad. To learn more about my credentials, influences, and sources of inspiration, click here. Should I work with you privately, for Business Mentoring — or should I take one of your self-study programs? How can I figure out which option is best for me? You thrive within the intimate container of a highly personal mentoring relationship. You’ve enjoyed considerable success, but you feel like you’ve slammed into a wall or ceiling with your business — and you don’t know why, what it is, or how to get past it. You yearn to rise and flourish (more sales, deeper influence, a clearer mission, adding more effective members to your team, restoring joy and enthusiasm for your business) but something is in the way. Things aren’t flowing. You aren’t happy. You enjoy learning independently — privately, in the comfort of your own home — at your own pace. You’ve been in business for a while, but you’re re-visioning what you do and how you do it — or perhaps you’re still in the planning and preparation stages. You’re working with a tight budget and you’d like to get as much inspiration and guidance as possible — for a relatively affordable investment. You want to learn the skills and tools of energy alchemy and practice applying them in your life and business. You want to find out how they work for you, before you consider investing in private mentoring. I want to take all 3 of your self-study programs. In which order should I take them? I’m delighted that you want to explore all of these programs. Each one stands alone, and together they form an integrated pathway to greater wholeness, coherency and integration in your life and business. On a practical level, I recommend starting with either Rule Your World or Dreaming in the Dark. Rule Your World will give you a strong inner foundation of sovereignty and energy alchemy skills that will help you make the most of Become Your Own Business Adviser. If you already have a business, or you have a relatively clear concept for starting one, BYOBA will help you develop your business from the inside out, with your deepest values and desires at its heart. If you’d like to get started, you can purchase all three programs today for just $998. I don’t have a business yet. Will Become Your Own Business Adviser help me get started? Become Your Own Business Adviser is designed for current & emerging entrepreneurs. If you’re not already running a business, but have a (relatively) clear concept for the business you want to create, BYOBA can help you clarify the shape & form of your emerging business. I’ve had several early entrepreneurs in past classes, who have made miraculous strides towards launching their businesses. Having said that, BYOBA does not teach business-as-usual. We don’t focus on SEO, USPs or any of the other acronyms that are so popular in the zeitgeist of business right now. Our approach to marketing, sales, business models, revenue and lead generation, among other things, is always an inside-out approach. I believe you have everything you need within you, to craft a profitable business that emerges from your soul and your deepest desires. This means that the business you create, and the shape you give it, will be uniquely yours. I have a business right now, but I might want to scrap it completely. Should I register for Become Your Own Business Adviser, even if I might not even have the same business, a few months from now? If your business is in an awkward transition, the energy alchemy tools and skills you’ll learn in BYOBA can help you connect with the soul of your business, and literally ask your business what it wants to become. The answer may surprise you! The soul of your business contains its essence, as well as the different and evolving forms it will take over the course of its life. BYOBA will give you the tools to clarify and give concrete shape and form to this evolution. I’ve been creatively stuck for a very long time. Should I purchase this self-study course, or work with you privately? 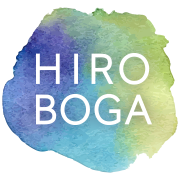 BYOBA is a powerful introduction to the tools and processes of energy alchemy, applied to the creative container of your business. The program will provide you with a foundation of skills which you can use to dive deep during 1-on-1 mentoring sessions. Ultimately, where you choose to begin depends on your own needs, learning style, budget & schedule. It also depends on where you are, in the evolution of your business. Some people thrive when they make their own schedule and work independently. Others flourish best when they are working one-on-one, with personalized, focused attention and mentoring from me. And still others want both! If you know what works best for you, then please begin there. If you don’t, I’d recommend beginning with BYOBA or with one of my other group programs. If you later choose to work with me privately, you will have the energy alchemy skills with which to powerfully shape the evolution of your business. I don’t really understand how attuning to the soul of my business will help me become more successful. What’s the practical connection? Your business has its own soul, which holds the pattern for its perfect unfolding. When you work consciously with this pattern to bring it into the world, you are aligning yourself with your business’s inner ecology. This allows your business to evolve organically, in harmony with its ecology, and in seemingly effortless, miraculous ways. Your business also has powerful allies and helpers in many dimensions who are invested in its success – just as much as you are. When you develop a relationship with your inner business adviser – and with the soul of your business – you can collaborate with these allies and helpers to co-create your business with ease. With the help of your allies, you can create a business model that serves your true desires, and launch & sustain profitable programs & offerings. You can enrich the lives of the people you serve, and be supported by them in turn. You can reshape your business to serve the life you truly want – and to contribute to the quality of the world in which you want to live. If you’re still feeling unsure about whether or not BYOBA is right for you, I’d encourage you to read what past participants have to say about their experience with the program. What kinds of results or experiences can I expect, from this course? Oh, so many marvels! Click here to read about what you can create during the course and what past students & clients have said about it. As soon as you register for the course, you’ll be get access to the Journal, the Reference Library, The World of Your Business ebook, and all of the 12 audio lessons. You can download these to your computer or smartphone, and listen to the class audio whenever and wherever you wish. The pdf can be viewed on your computer, or you can print it out and read it on paper. When you purchase, you’ll receive instructions on how to access the password protected site where you’ll find all of the materials for the course. There’s no time limit. You can download the program materials as soon as you make your purchase. All of the course materials are yours to keep forever. Are there any entrepreneurs who shouldn’t take this course? This program will transform your life and the life of your business, if you commit to it wholeheartedly. So if you’re ambivalent about transformation, prefer incremental change, or if you are deeply invested in the status quo, BYOBA is probably not for you. The program will give you the tools and skills to grow your business by growing yourself. It requires your willingness to explore your own light and shadow, and to take full responsibility for choosing and crafting the life and the business you desire. BYOBA is a journey of exploration and discovery, where you seek and find your own truth, and act on your inner knowing. You’ll receive the tools, skills, structure and guidance to support you along the way. But, if you’re looking for someone to tell you what to do, this program won’t be a good fit for you. If you find it difficult to accept responsibility for your choices and actions, if you want someone else to do the work for you, if you’re unwilling to make friends with your creative power, or if you simply don’t have the time or energy to do the work, the program isn’t right for you. If you don’t believe in the existence of soul and subtle energies, and are not receptive to exploring how they work in your life and your business, this is not the program for you. There will be parts of you that are afraid of the unknown, parts of you that fear your radiance and power and prefer to hide in the shadows. This program will help you meet your inner selves with love and compassion, kindness and clarity, so you can unfold the miracle that is your life and your business’s life. Finally, BYOBA is a powerfully transformative program. It requires resilience and the capacity to take responsibility for your own inner states of being — physical, mental and emotional — in a compassionate way. BYOBA is not a substitute for psychotherapy or other medical treatment. If you are in a fragile state of mind, or are experiencing an emotional or mental health issue that requires professional treatment, BYOBA may not be right for you. Is it important to have a specific project you want to create in the program, or will inspiration come during the program? It isn’t necessary to have a specific project in mind when you begin the program. The energy alchemy skills the program is designed to teach are best learned by applying them to a concrete, real-life situation. So the first couple of classes offer ways for you to explore what you want to create, and invite you to choose a project as your starting point. Projects can and do change, as you get deeper into the program and develop a relationship with your true desires. Where can I find out more about the Become Your Own Business Adviser program and purchase? How To Rule Your World will help you to build a strong foundation for personal & professional growth, and then — if entrepreneurship is calling to you, you can explore how to Become Your Become Your Own Business Adviser. Where can I find out more about the Rule Your World program and purchase? Do I have to do it as a 2-day retreat? Can I spread it out over several days or weeks? The beautiful thing about a self-study program is you can use it in any way you wish, to guide your own learning. Having said that, people have fallen in love with this program format. Each year they give themselves two sacred and uninterrupted days to engage with the materials, deeply consider their relationship with their business, anchor it in a new story for their business’s future, and integrate their discoveries into a new way of thinking about their business… and what’s possible for them. Take whatever time you need, but I’d encourage you to give yourself the gift of uninterrupted time and space for this process. What exactly can I expect to get out of this retreat? You can expect focus, clarity, and a deeper relationship with your Business Deva and other allies. Release and celebration of all that the past year has held. The ability to craft a new story for your business that will energize and inspire you. And so much more. Click here to read about what you can create during this retreat and what past students & clients have said about it. I’ve never taken a virtual retreat before. How does this work? As soon as you register for the retreat, you’ll get access to the Playbook and two audios. You can download these to your computer or smartphone, and listen to them wherever you wish. The pdf can be viewed on your computer, or you can print it out and read it on paper. When you make your purchase, you’ll receive instructions on how to access the password protected site where you’ll find all of the materials for the retreat. Then, simply choose the dates for your retreat, put them on your calendar, and prepare for a magical ride! There’s no time limit. As soon as you’ve purchased your program, you can download the program materials, which are yours to keep forever. Many of my students take this retreat over again each year. You may find yourself returning to it as an annual ritual for many years to come, as you and your business grow together. Where can I find out more about the Dreaming in the Dark retreat and purchase?